Welcome to Daily Turismo's Syncro de Mayo, our May 5th celebration of Volkswagen's four wheel drive system known as Syncro. First up in our symphony of synchronicity is a somewhat beaten up example of the Volkswagen Type 2 (T3) which is variously known as the Transporter, Caravelle, Microbus, Vanagon, Kombi, Westfalia and TippyMcDeathtrap. 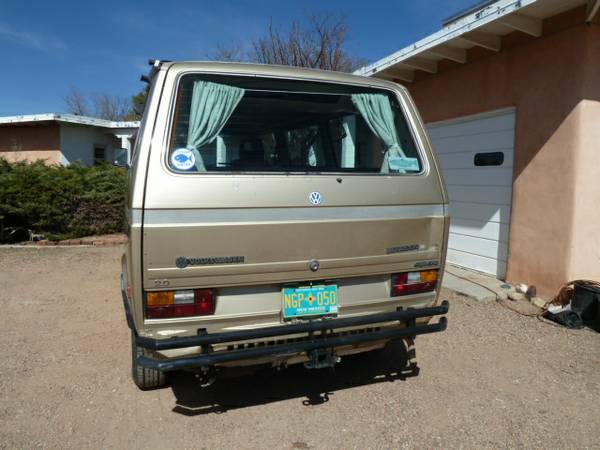 Find this 1987 Volkswagen Vanagon Syncro offered for $7,500 in Santa Fe, NM via craigslist. Tip from FuelTruck. 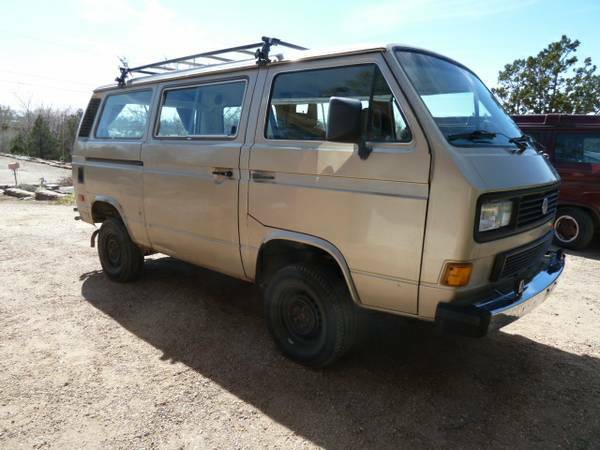 If you are looking for a museum piece rust-free all-original Vanagon Syncro, you'll have to look elsewhere because this one is a bashed up example of Vanagon looks like after it has gon' a few places. The custom roof rack and rear bumper add to the Mad Max vibe. The US spec Vanagon Syncro is powered by a 2.1 liter Wasserboxer watercooled flat-4 that makes 95 horsepower and 117 ft-lbs of torque. 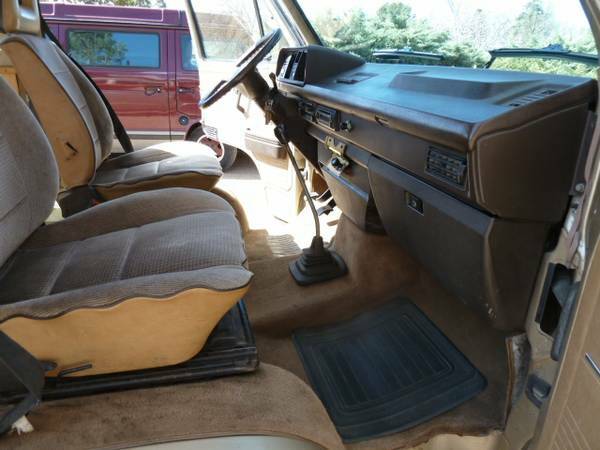 It is connected to all four wheels via a 5-speed manual gearbox and VW's famous Syncro all-wheel-drive system that was added to the Van at the Steyr-Daimler-Puch factory in Graz, Austria. $7,500 is a steal for one of these in driveable condition in today's market, whether you want to accept that or not!